One Night Pop-Up Art Gallery ! ! WHAT: Some Art Show pop-up art gallery for one night only! Collectors and art enthusiasts are invited to view and collect unique works by ﬁve stand-out street and new contemporary artists emerging within the Los Angeles area at this artist-organized show. 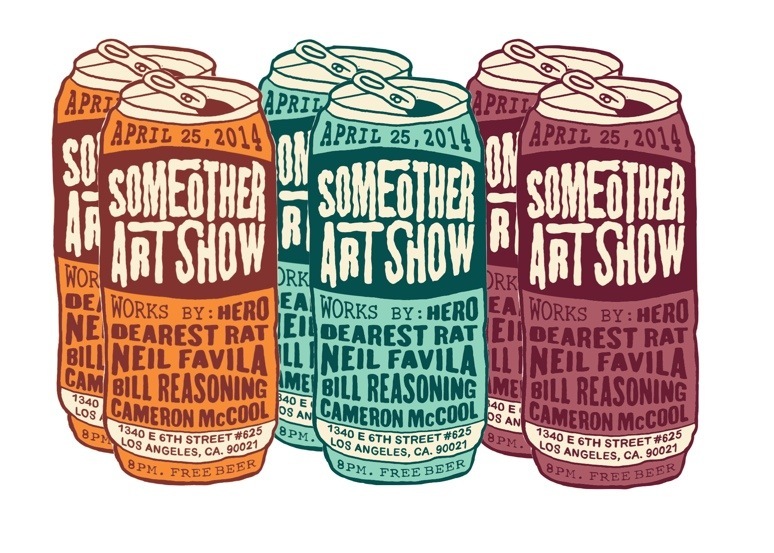 Some Other Art Show will feature over 50 original works varying from photography, paintings, screen prints and mixed media stencil art on a variety of mediums. WHERE: 1340 E. 6th St. #625, Los Angeles C.A. 90013 ! WHEN: Friday, April 25th from 7 p.m. – 12 p.m. !